The shoot'em up genere all but died in North America when 3D graphics were taking over console gaming. 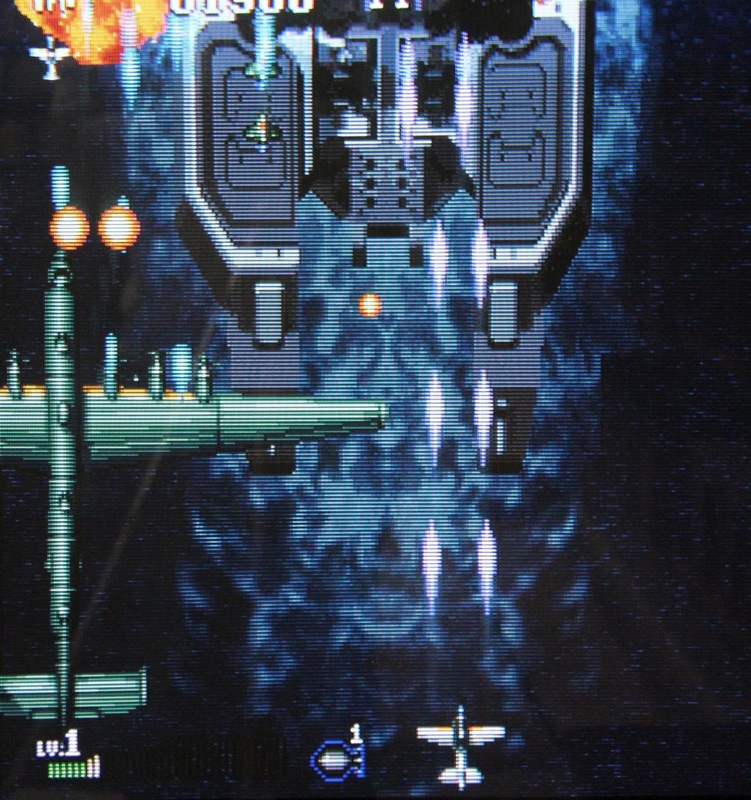 During the 5th generation, you saw a few like Einhander, Raiden Project, Galactic Attack, but for the most part, it was not a market that was important to American publishers. It was a different story in Japan. 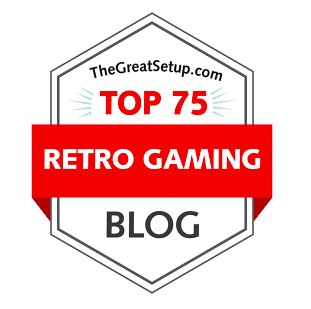 The fifth generation was one of the best for the genre, with the Saturn and Playstation getting endless titles that pleased fans of shooters to no end. The sixth generation continued this trend, perhaps not as fervently as the previous generation, since Sega bowed out of the console race early after only a few years with the Dreamcast, leaving the PS2 the only machine of the generation to host the genre (the Gamecube and Xbox libraries were barren). 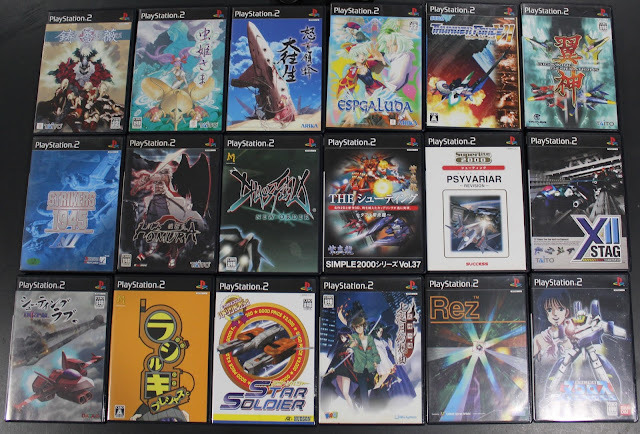 Here are the top 10 shooters that I own for the Japanese Playstation 2. 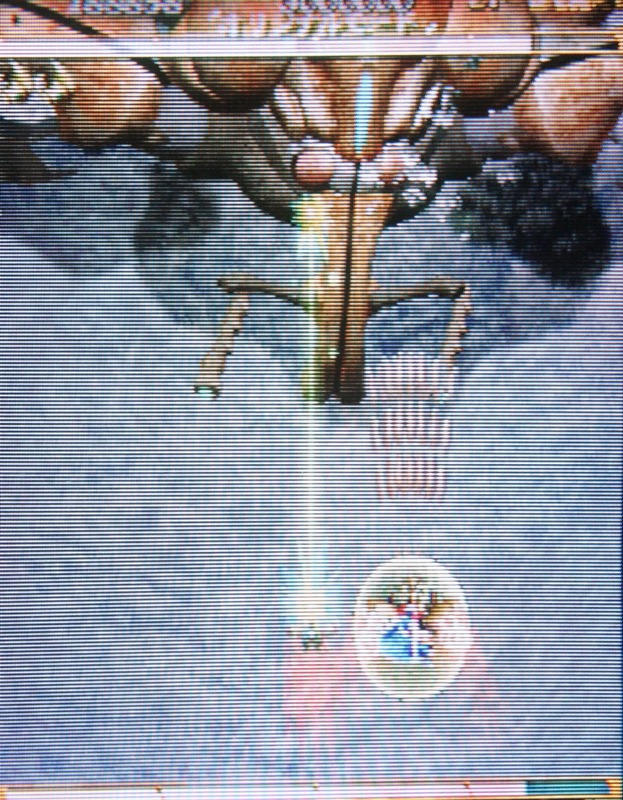 One of the first things you think when you play Chaos field is that it is a poor man's Radiant Silvergun. 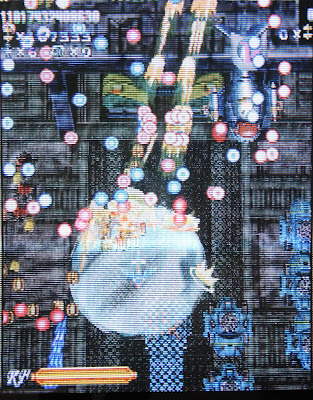 The sword swipe that absorbs bullets is clearly inspired by the seminal Saturn shooter, but beyond that there are some interesting ideas at work. The ability to switch between the titular Chaos Field and normal field provides variety in how you play. In the Chaos field, your attack power is amplified, as well are your enemy hot patterns. 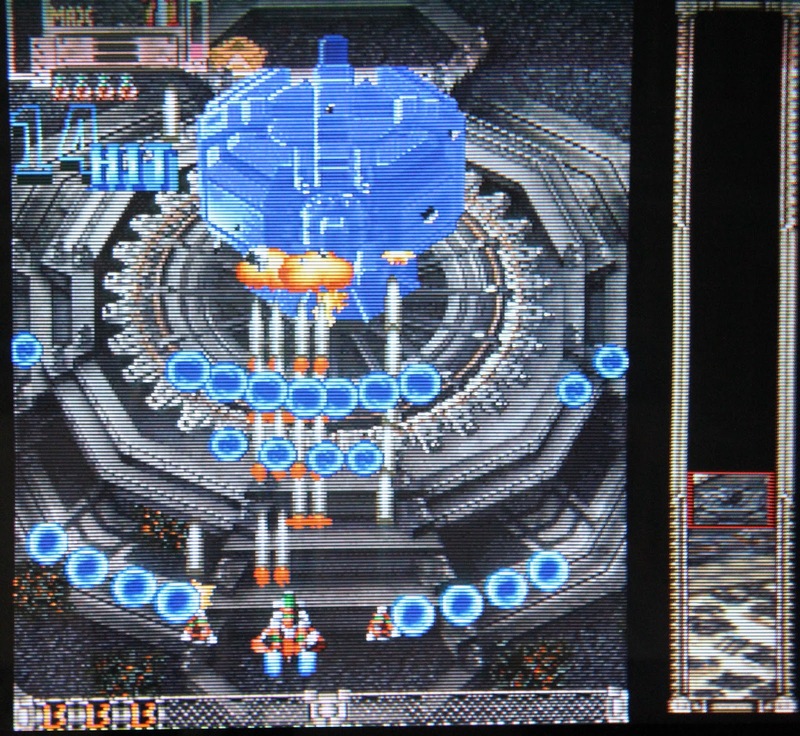 The gameplay is considered a "boss rush", where the stages consist of primarily bosses, with little in between. Once you get used to switching between fields the game slows down a bit, and is a nice entry for the console. The is game has unique side attack that you engage by wiggling left and right. As such, there is a greater emphasis on enemies approaching from all angels, and often the best strategy is to attack laterally. I appreciate this innovation, but I found it difficult to jiggle side to side effectively. There is the option to turn on rapid for the side attacks, but I never quite got the hang of that either. 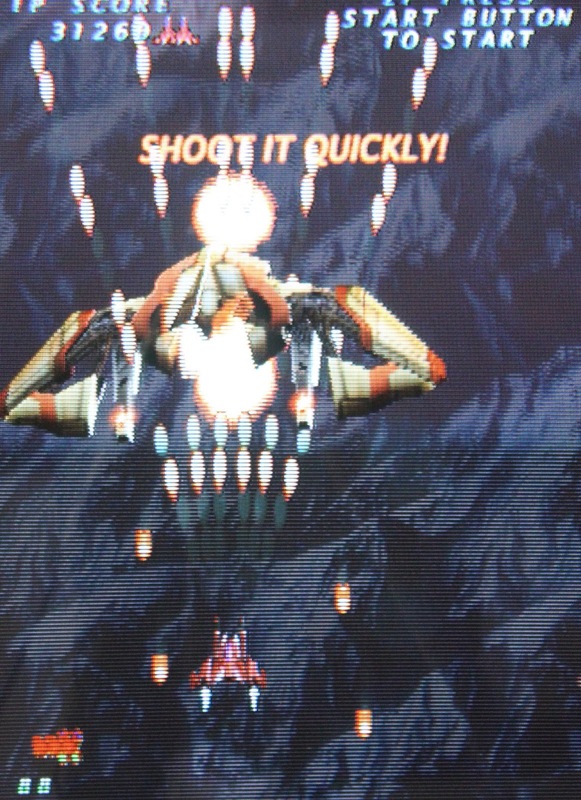 Psyvariar is all about buzzing enemy bullets for score multipliers. The more bullets you graze (without getting hit, obviously), the higher the points that roll in. You also get experience points to level up your ship. If you level up to certain point, you're firepower will increase. This mindset changes how you play the game, and is a fun change of pace for shooter fans looking for a different type of play style. This concept behind this game is unique for a shooter; everything takes place in the insect realm. You are a tiny humanoid shooting down hordes of massive insects. 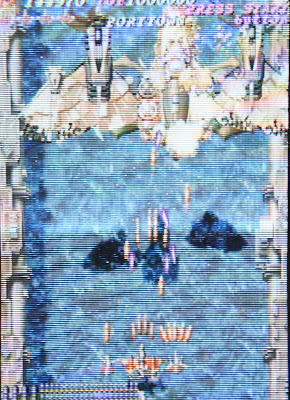 The bosses are intricately segmented and pieces break off as they are destroyed. The visuals are lush and imaginative, and among the best of the generation. The rate of fire can be adjusted, and mapped to different buttons. 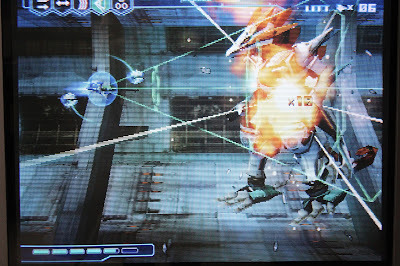 There are three different gameplay modes: original, maniac, and ultra. Despite my love for the genre, my skills are not among the best, so I tend to shy away from the overly difficult modes. This is a fun, kind of weird (in a good way) shooter, and I recommend it if you are looking for a challenge. Another one of my favorite series, many may confuse these games with Capcom's 194X series of WW2 airplane shooters. 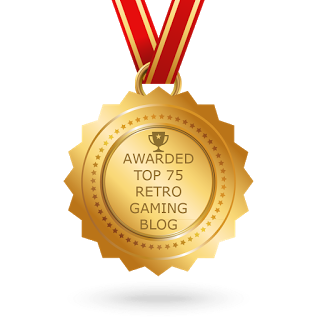 While 1943 and its variants had their charm and were great games in their own right, the Strikers 1945 games take gameplay into the modern age. 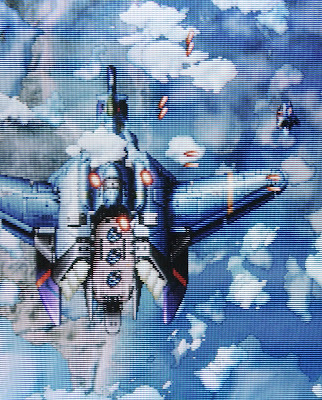 Bosses start as typical WW2-era vehicles, only to transform into giant mechs of ridiculous proportions. Each has a handful of planes to choose, each with their own firing pattern, bomb attack, and options attack. You'll play these over again and again just to see what each plane is capable of. Part 2 is very similar to part 1, but it adds challenge and even more planes. I'm not sure what the premise of this game is. From the opening sequence it seems that you are attacked, and you loved one is murdered, so maybe its revenge? 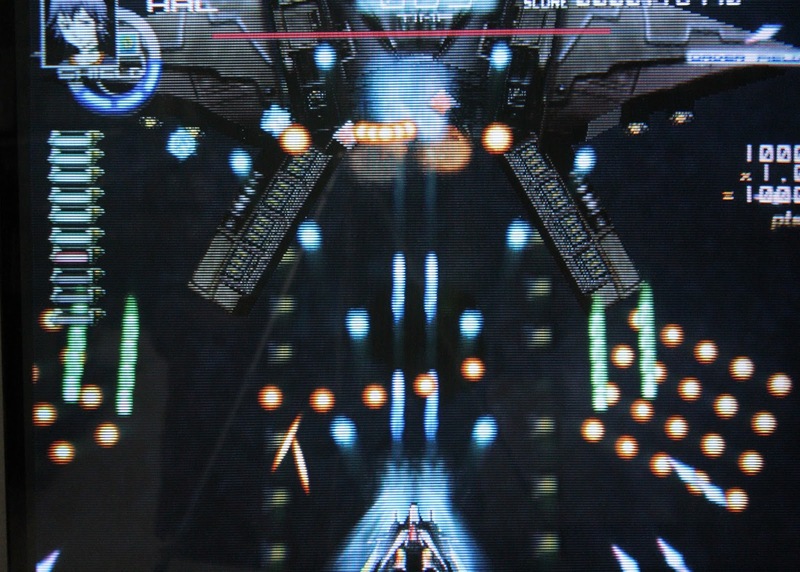 You are a flying humanoid, with different shot pattern types. 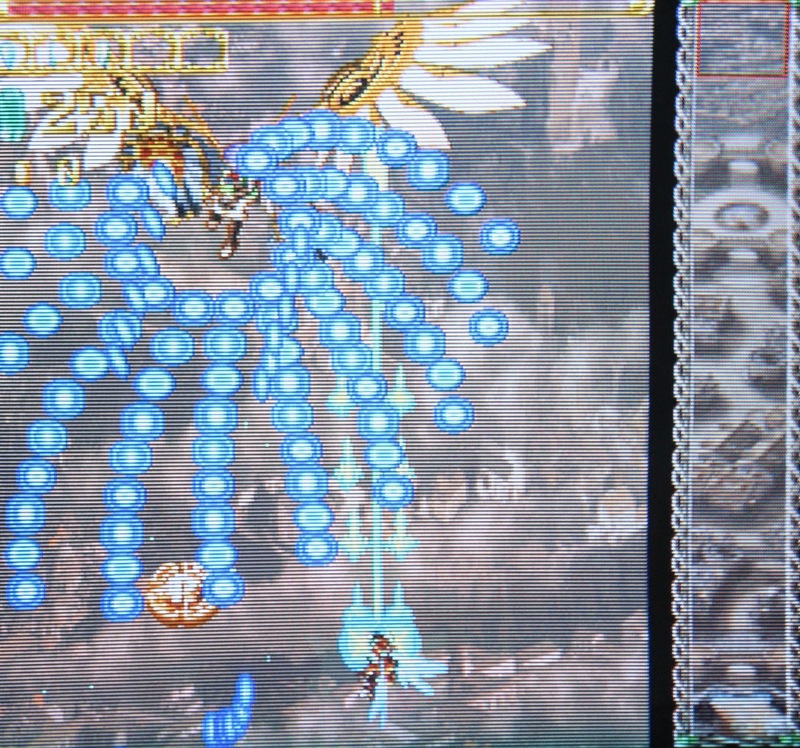 Gameplay is very similar to Mushihimesama, and so fans of that game will feel right at home here. The same progress bar from Dondonpachi DOJ makes an appearance here as well. Its a fun, action-packed shooter. This is a follow-up to the Gigawing games on the Dreamcast. The concept here is to score an indescribable amounts of points. Seriously, the score gets pretty ridiculous fast. This is one of those games where the enemies turn into medallions after they are destroyed, and so the screen gets cluttered with medals and bullets simultaneously. 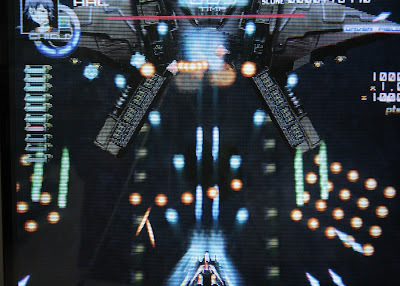 The unique feature of the this game is the force shield, which envelops and protects you in a round shield, then bounces all enemy bullets back in their direction. The results can be devastating, and it is immensely satisfying to unleash. It is a cool feature, and gives the game a strategy all its own. Once I found out that this game existed, I sought it out immediately. I am a huge Thunder Force fan, so this was a no-brainer. I may be biased, but this game is awesome. It is definitely a Thunderforce game, and it plays just like how you would expect it to. Power ups are familiar, and of course the over weapon is present and accounted for. It is a bit on the easy side, but I'm ok with that. Everything that you loved from the previous entries either make an appearance, or are given an homage. Each time you beat the game, you are given a new ship to select from a previous entry. This adds to the replay value. 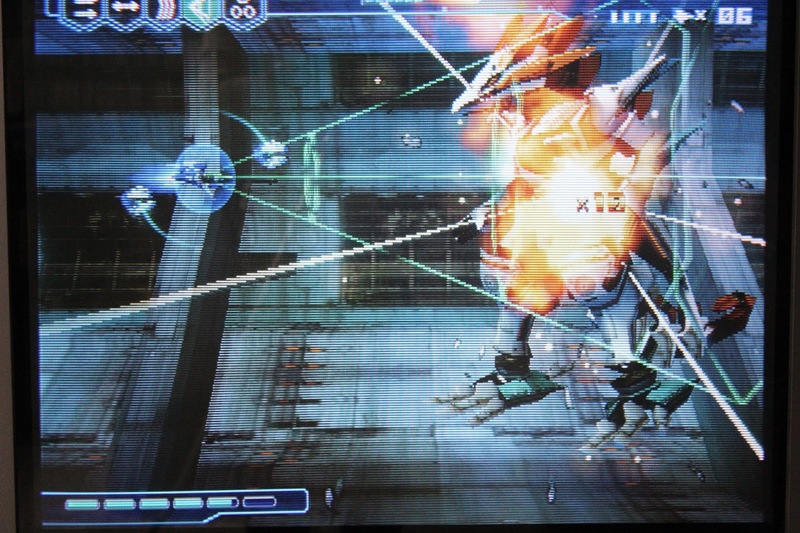 Most gamers into shooters know of the Dodonpachi games. They started as Donpachi in the arcades, followed by the sequel Dodonpachi, and were both ported to both the Playstation and Saturn. This entry is about what you'd expect from the the series, as it makes its lone 6th generation appearance. It's a ton of fun, and has some throwback graphics and a well-honed style of gameplay. I like the new progress bar on the side of the screen; it is not really needed, but its just a nice idea. I don't care for the announcer's voice work this time around, it just doesn't have the personality that the first two games had. Oh, it's damn hard. Definitely a must have. I loved Battle Garegga on the Sega Saturn, and this game is what many call a spiritual successor. The on-screen action is over the top, with explosions and shrapnel flying every which way. It takes some time to adjust to what is dangerous and what isn't, but eventually you get the hang of it. Its a blast to play two player co-op, and its hard. Even with the difficulty turned down, its hard, but you still come back for more. Despite the cover art and lace-laden girl images in the background, this game still plays like an airplane WW2-style shooter. The bosses are giant mecha-girls or whatever, but the gameplay is super tight. For 2D shooters, I prefer an arcade stick, or a good d-pad. Fortunately, I have both. 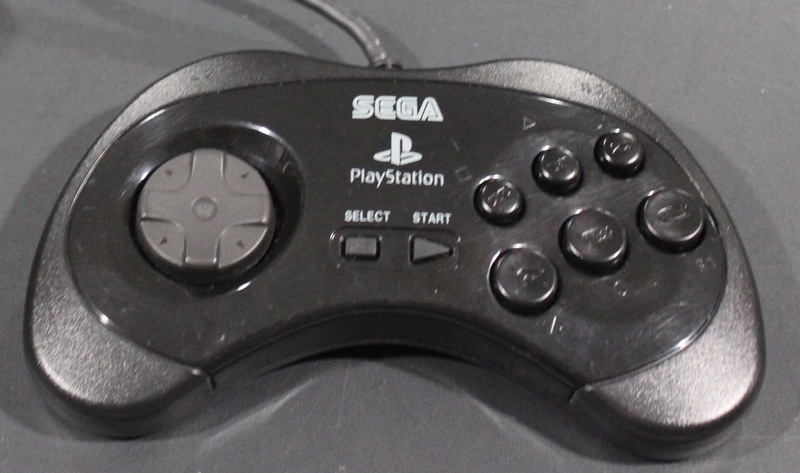 My favorite controller of all time is the Saturn pad, and I have the official Sega Logistics Systems Saturn pad for the Playstation. It should be mentioned that in order to play these Japanese exclusives, you will need some method of playing imports on your PS2. I wasn't a fan of the disc-swap method, so I just bought a Japanese PS2 since I figured it would get a lot of use. Nearly all of these games have generous customizability, allowing for players of all ability levels to experience them. While not the subject of this post, it should be mentioned that there were plenty of PS1 shooters that were Japanese exclusives as well. Again, North American releases were excluded from this list. That may be a list for another day.